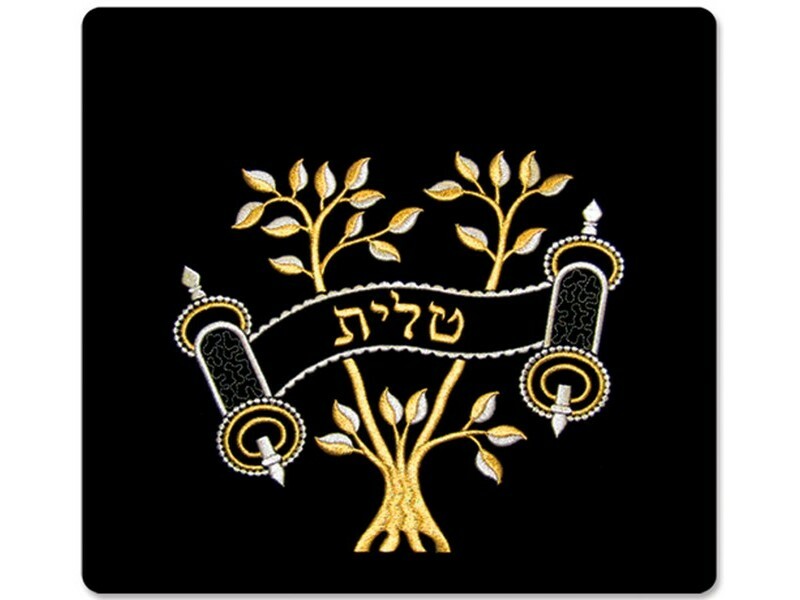 This velvet bag is has the classic setting of the “Eitz Hachayim”, Tree of Life, with multiple leafy branches and a torah scroll in the foreground. 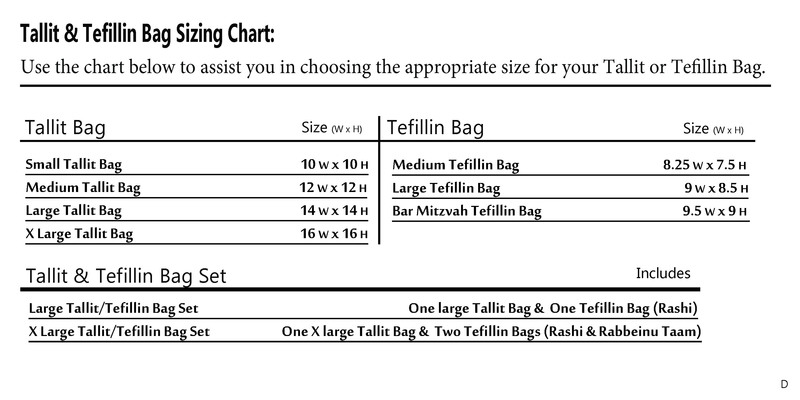 In the scroll, depending what size/style is selected; the Hebrew word “tallit” or “tefillin” is embroidered. This embroidered design is crafted with metallic gold and silver colored thread.